Raaga.com: Aditya Pancholi displays his darker side yet again! Aditya Pancholi displays his darker side yet again! Bollywood stars in India are meted out regal treatment. They are equated as Demi-Gods at many places. Hence it is no wonder that this adoration makes some of them haughty and arrogant. Over the years there have been multiple examples when Bollywood stars swayed over their ‘Star Status’ displayed their darker side thus shaming the film industry. 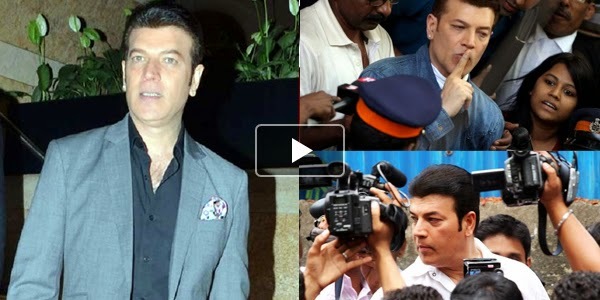 Recently notorious Bollywood actor Aditya Pancholi, known for his arrogance and wild rage, once again tinted his image when he indulged in a shameful brawl at a plush nightclub on Saturday night in Mumbai. According to Padmakar Chavan, senior inspector, of Santacruz police station Aditya Pancholi, created hooliganism at Trilogy Pub at Hotel Sea Princess located at Juhu Tara Road and was arrested for his ugly act. “Angry at the DJ, Pancholi allegedly hurled abuses at him. To prevent the brawl the bouncer Mandar Patole (29) tried to intervene, however Pancholi in a fist of fury smashed his head with his mobile handset and created lot of ruckus and damaged the counter at the pub,” informed Padmakar Chavan. Readers may recall that Aditya Pancholi had created a similar awful scene in an airplane when he was traveling from Mumbai to Goa. The plane was scheduled to leave Mumbai in the evening but had to cancel its flight due to rough weather. However this irked Pancholi so much that Pancholi not only fought with the crew members and co-pilot of the flight but even abused the airline’s management. Likewise his infamous brawl with the journalist at actress Jiah Khan's funeral is quite known. Only last week cricketer Virat Kholi had displayed his darker side riding high on the power of his star status. It is high time that these celebrities, who easily gain bail must be punished sternly so that they try to valve the law of the country and learn to walk on earth rather than fly on sky nine!